We are having gorgeous bright sunny skies and warm weather so far this fall. The trees are brilliant and radiant as the leaves shine through the sun. Love it! I wanted to share a card I made a few weeks ago but I haven't had a chance to post it. I thought I would have a lot of time while my husband is away, as it turned out I am busy with everything else so crafting has taken a back seat. Also, I apologize for being late to your blogs as well! Isn't she so sweet, I love looking through some of the older Tilda's and using them. They are bigger than the current ones so they do not always fit with my card dies. I wanted this card to look shabby chic for any occasion even though she is called "Tilda with Christmas letters" I colored her with distressed inks in the softest shades. Enjoy your day and thank you for stopping by my blog, your comments are always a joy for me! My pad is slow for some reason... I wanted to say, that you have a certain touch, that you pick always just the right papers and perfect embellishments. I love your creations. 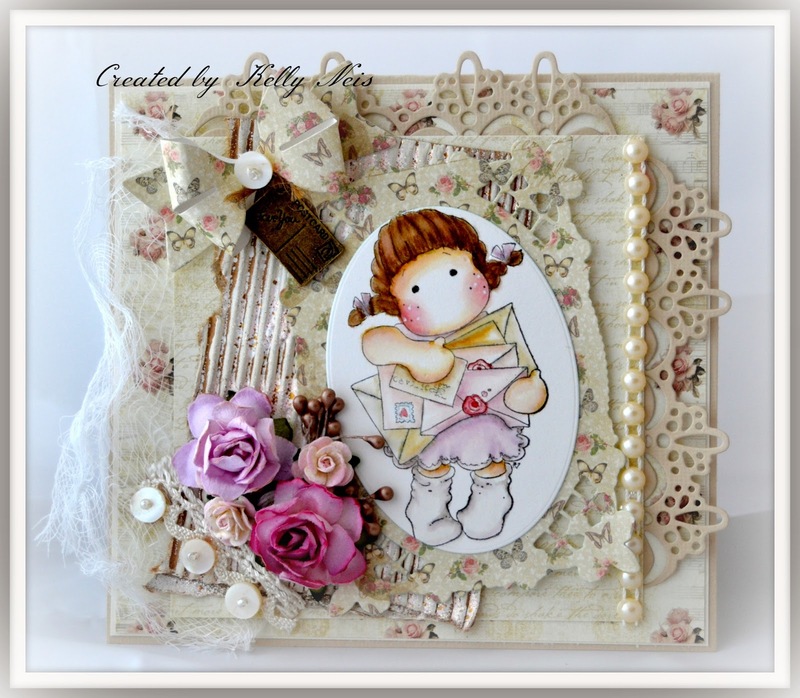 Oh lovely shabby card ! So sweet and so nice details ! 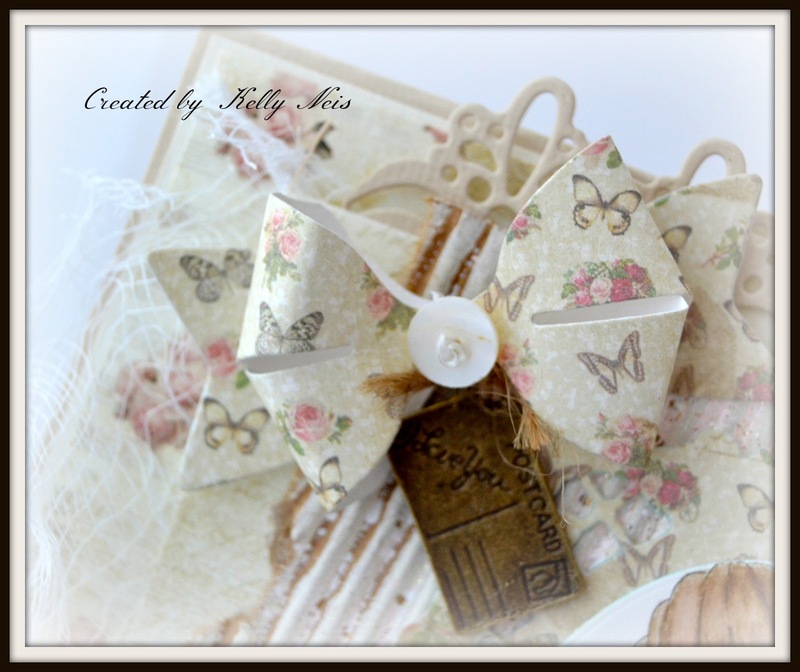 As always Kelly, your card is gorgeous - love that bow! Your paper is so very pretty. This is so beautiful, Kelly! 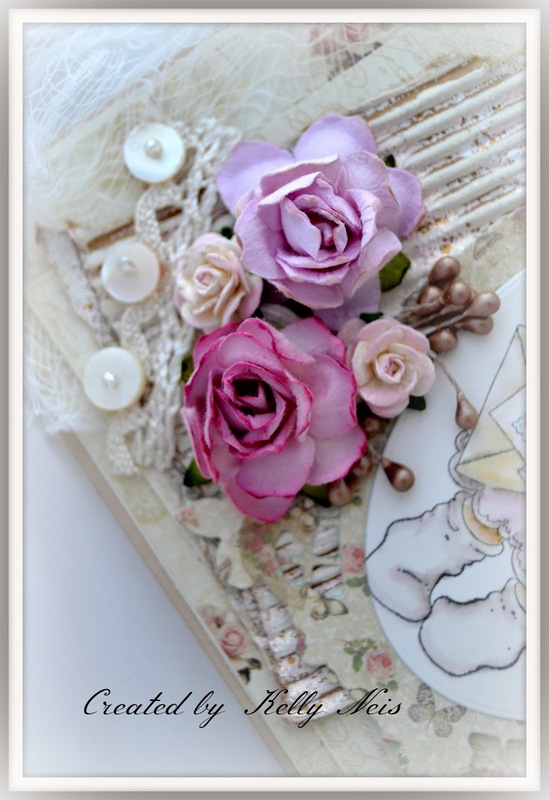 Love the cute Tilda, colored magnificently, and the gorgeous papers and details! Oh Kelly!! I so love this! The creamy background just makes everything so delicate and soft! And you've coloured Tilda so BEAUTIFULLY along with decorating around her so GORGEOUSLY! Gosh .. I love it! GOR-GEOUS as always! I love the soft beige colour palette here Kelly. 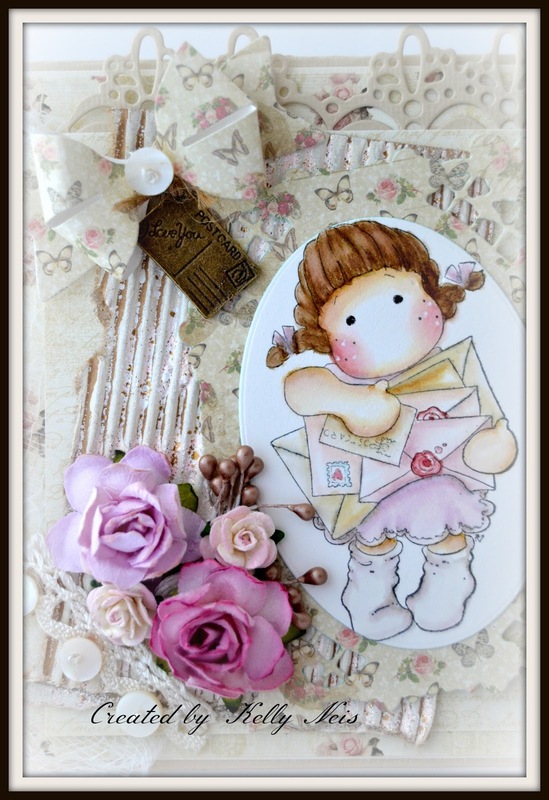 Cute little Tilda and wow... you have some fabulous dies!